Having recently been named one of the Top 5 Best Up-and-Coming Bay area bands of 2014 by CBS and most recently one of 5 bands to watch in 2015 by Relix magazine, Lee Gallagher and the Hallelujah have clearly made a mark in their short time together since forming in mid-2013. Based in San Francisco but comprised of Midwestern and Southern transplants with a devotion to honest roots based American music, they weave a sonic tapestry framed by wailing guitars, churning organ, and more than a slight nod to the southern gospel music of their past. The band has garnered buzz for their live shows which transform traditional music venues into sweaty, hip-shaking, psychedelic tent revivals. The band went into the studio for nine days in 2014 to record their self-titled debut record and then focused on playing live and touring a good swath of the US. And, for the new kids on the block, the band has had the incredible good fortune of sharing the stage with such acts as Leon Russell, Dinosaur Jr., Strawberry Alarm Clock, Heartless Bastards, Living Colour, Soul Asylum, and The Doobie Brothers. The early reviews of their debut record have ticked off comparisons to many legendary artists such as Humble Pie, The Band, the Grateful Dead, the Faces, and the Black Crowes. Gallagher’s dynamic vocal range has brought repeated comparisons to both Neil Young and Robert Plant. 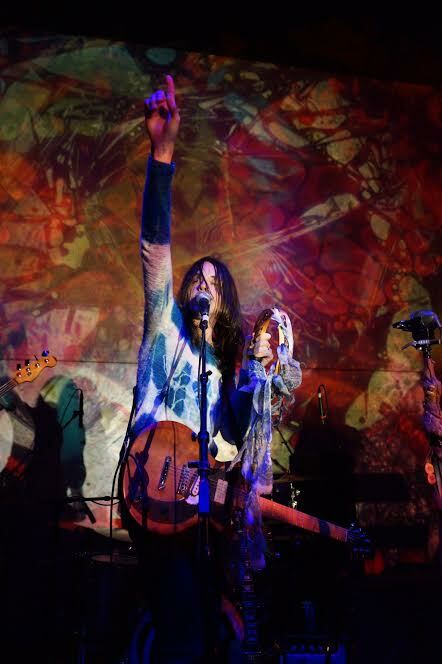 Lee Gallagher and The Hallelujah spent the summer of 2015 taking their “psychedelic gospel” on the road with a US tour accompanied by the world renown analog liquid light show Mad Alchemy. The band continued touring in 2016 while simultaneously working on new material. In 2017 Lee and the band were invited back to Light Rail Studios in San Francisco to work on some new songs. The result will be the release of “God of War” and “David Crosby” in the summer. Once again recorded on Jerry Garcia’s old tape machine and mastered by the legendary Betty Cantor-Jackson a key component in Grateful Dead lore.